Perhaps the prettiest vintage nightgown that has ever crossed our path. 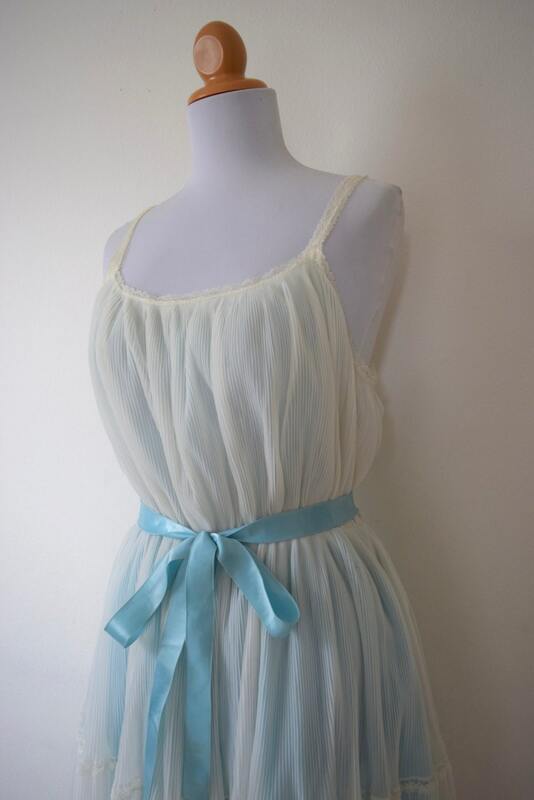 Baby blue lining with a sheer, cream, perma-pleat overlay and lace trim. 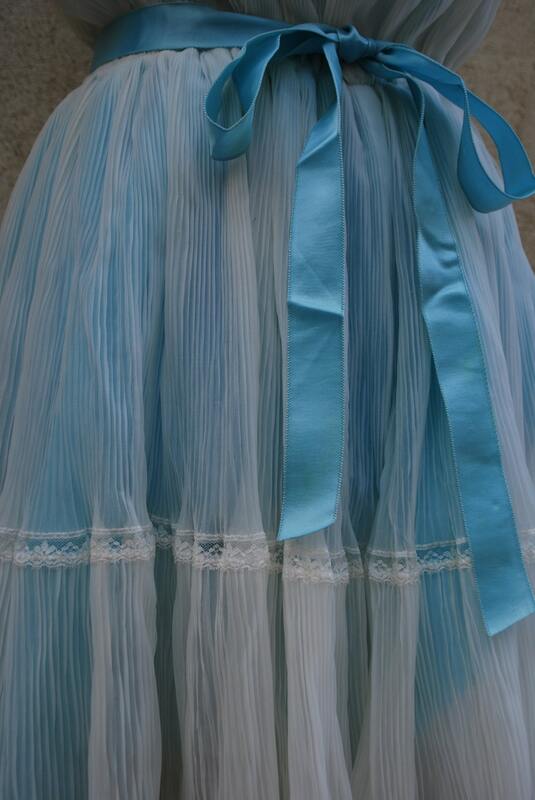 Matching blue satin ribbon belt. Elastic waistband.